pre-deceased by her brother Paolo and her special brother Nick. Carmela’s undeniable devotion to her family and friends and her zest for life was evident in everything that she did. She will always be remembered for her compassionate, selfless, and valiant nature and the way she always put others before herself. Her selflessness and kindness leaves an indelible positive impression on everyone she had touched during her life. Carmela showed her love in so many ways but one of the most prevalent was through her cooking. Not only were family and friends always treated to their favourite meals but her “open door” policy meant everyone from friends of her children to support workers were welcomed into her home to share in the delicious offerings. 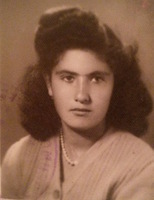 Carmela was always happiest with her family and whether it was decorating the Christmas tree with her grandchildren or frequent visits to the Mandarin with her sister Angela, that happiness was always contagious. The only thing that matched her dedication to her family and friends was her strong religious faith and her devotion to God. 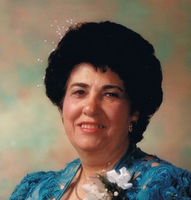 Her compassionate nature and sense of humor will be dearly missed by her family and friends, especially her long-time neighbors Emma and Filomena. The family wish to extend special appreciation to Dr. Vincent Maida for his dedicated and compassionate care. Visitation will take place at the Ward Funeral Home (4671 Highway 7, Woodbridge) on Sunday from 2-4 & 6-9 pm. A funeral mass will be celebrated at Our Lady of the Airways Church ( 7407 Darcel Avenue, Mississauga) on Monday, February 11, 2019 at 10:00 a.m. Entombment to follow at Queen of Heaven Cemetery. In lieu of flowers, donations to Hospice of Vaughan would be greatly appreciated. 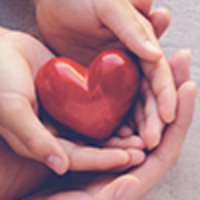 Donations are being accepted for: HOSPICE VAUGHAN. Consider providing a gift of comfort for the family of Carmela Iannelli by sending flowers. We encourage you to share your most beloved memories of Carmela here, so that the family and other loved ones can always see it. You can upload cherished photographs, or share your favorite stories, and can even comment on those shared by others. Our sincere condolences for your loss, our thoughts and prayers are with you and your loved ones during this difficult time. Gerry and Susan , Our deepest and sincere condolences to Joe and his family on the loss of a great mother , I know she will be with you in your hearts forever.